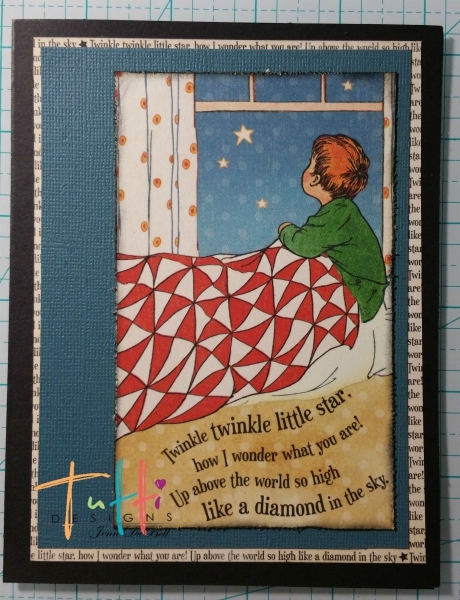 Hello, Jenn here to share this adorable nursery rhyme card created using the amazing Tutti Designs Dies! Ink the edges of the graphic cut out using black archival ink and a sponge applicator. Use an adhesive tape gun such as Xyron mega runner to build layers with cardstock as shown below. Be sure to place the graphic cut out off to the right side to make room for star die cuts. 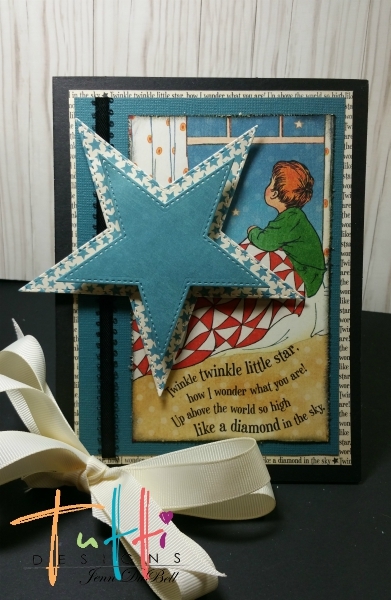 Add thin black ribbon onto the left side of the card as an accent. 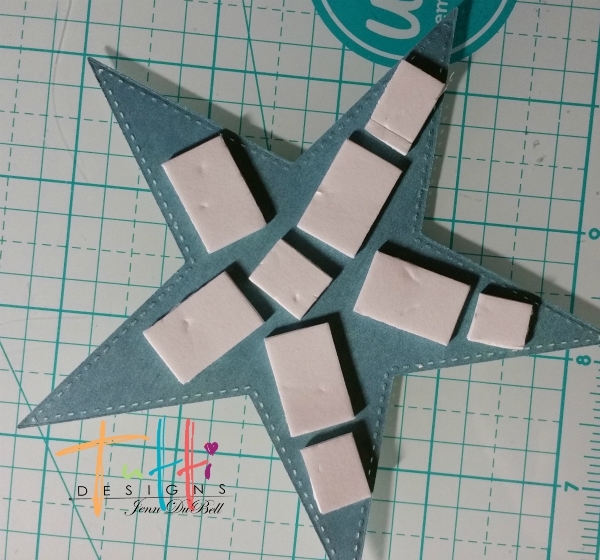 Add adhesive foam dots to the star die cuts and then place the large one onto the card and the medium star onto the large star. Such an adorable card in the end! 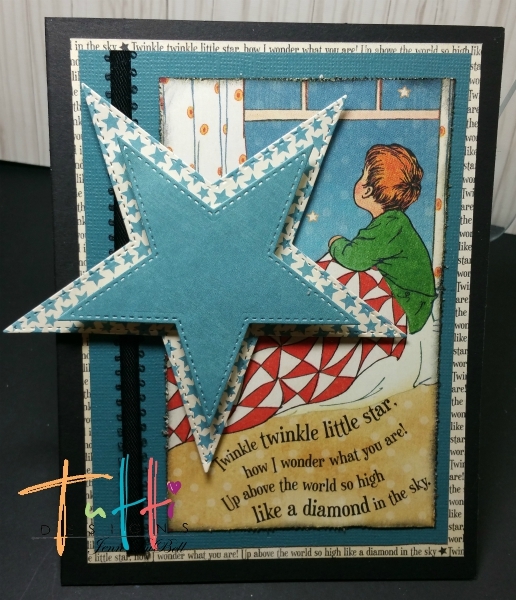 The Tutti Designs Stars as the perfect dies for this project! The papers used are from Graphic 45 Mother Goose. 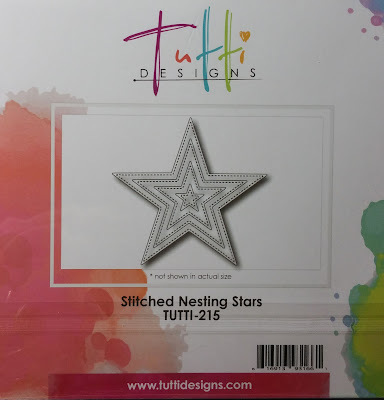 For all the amazing Tutti Designs Dies check out the online store HERE. I just love this card Jenn, reminds me of my old reading books when I was a child. Just beautiful! Oh Jenn this is just ADORABLE! What a great idea using those stars ... looks awesome! Wonderful inspiration... thanks!